On September 25, 2017, Special Master Christian Moran from the National Vaccine Injury Compensation Program (NVICP), acting under a Court of Federal Claims decision that changed the legal standard for compensation, awarded compensation to Ms. Emily Tarsell for the tragic death of her daughter, Christina Tarsell. The family had blamed the tragedy on Gardasil. the HPV vaccine. Let’s review the facts and legal issues of the NVICP Tarsell decision. A reading of the decision shows that the Special Master himself had serious doubts that the HPV vaccine had actually caused the death (and could probably have more strongly stated his doubts); however, he felt bound by a flawed decision of the Court of Federal Claims and compensated because of that guidance. The claimant’s theory that was used to claim that the vaccine caused the young woman’s death is also extremely far-fetched. It should not have fulfilled the plausible theory requirement even under the watered-down version ordered by the Federal Claims judge. The timing (i.e., cause and effect) was likely wrong – the Special Master thought the disease symptoms started before the administration of the vaccine – but for procedural reasons, he did not dwell on that issue. While anti-vaccine websites present the Special Master’s award as proof that the death was caused by the administration of the vaccine, that is a serious misreading of the NVICP Tarsell decision. Ms. Christina Tarsell’s death is extremely tragic. But there is no good basis to claim that the HPV vaccine caused it. applying a de novo standard instead of an arbitrary and capricious standard to the Special Master’s findings of facts (which I’ll explain). Christina Tarsell was born on November 8, 1986. She received her first dose of Gardasil (HPV vaccine) on September 12, 2007. On November 20, 2007, she received her second dose of HPV in the office of her gynecologist and was also seen by an internist who detected an irregular pulse. An electrocardiogram (ECG) showed a problem, and a second one a month later confirmed the problem. On June 3, 2008, she received her third dose of Gardasil. She had some dots on her neck on June 5-19, and felt faint and dizzy between June 7 to 12, 2008, but continued her activities as usual. She was not seen by anyone between June 19 and June 23, when she was found tragically dead. The Special Master established that she died on June 21, 2008. An autopsy found both the cause of death and manner of death undetermined. Christina was only 21, far too young to die. The parents appeared to have blamed the vaccine soon after their daughter’s unexplained death. At their request, the pathologist who performed the autopsy filed a Vaccines Adverse Events Reports System (VAERS) report. The parents filed a claim with NVICP on April 19, 2010, providing two experts. Their first expert was Dr. Yehuda Shoenfeld, an immunologist that has testified multiple times on behalf of those claiming vaccine injuries. Dr. Shoenfeld has claimed, in a variety of contexts and ways, that vaccines generally and HPV vaccines specifically cause autoimmune diseases. Both his general hypotheses and his claims about HPV vaccines are ill-founded and against the vast weight of scientific evidence. Ms. Tarsell’s second witness was Michael Eldar, M.D., a cardiologist, who I am less familiar with. In part, I will address the legal standard when discussing what the Judge of the Court of Federal Claims did, but let’s set out the basics first. To win a case in the NVICP, a petitioner – as a claimant is called – does not need to show all that would be required in a court case. 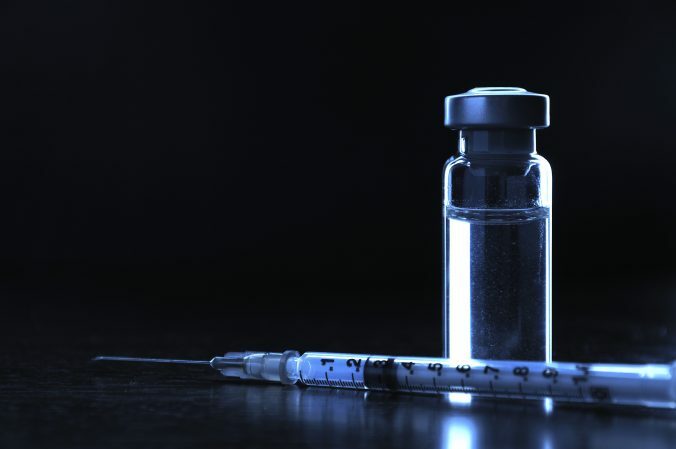 A petitioner only needs to meet the program’s standard of causation – show the vaccine caused the harm under a specific legal standard – and then show damages. damages. There is no need to prove that the vaccine was improperly designed or manufactured (see page 1660). Petitioner can show that the vaccine caused an injury that’s listed in the NVICP’s official table of injuries (pdf) within the right time frame, in which case causation is presumed. Or petitioner can, as Ms. Tarsell did, claim the vaccine caused what is called an off-table injury, in which case petitioner needs to meet the Althen standard. Under the Althen Standard, petitioner has to…show by preponderant evidence that the vaccination brought about her injury by addressing three prongs: (1) a medical theory causally connecting the vaccination and the injury; (2) a logical sequence of cause and effect showing that the vaccination was the reason for the injury; and (3) a showing of a proximate temporal relationship between vaccination and injury. A preponderance of evidence means that, at the end of the day, the petitioner needs to show that there’s more than 50% chance that the vaccine caused her harm. Generally, prong 1 is interpreted as a need to show that the vaccine could cause the harm, and that can be supported by, for example, expert opinion that a specific mechanism exists, and prong 2 is interpreted as a need to show that there is evidence that the theory applies in the relevant case, that the vaccine did cause the harm. Note that this is a relaxation of the legal standard compared to the usual requirements for causation demanded in regular courts: petitioners do not need to provide medical or scientific literature showing that the vaccine can cause this type of harm, as would in a regular tort case. This is a big break for claimants, which has been deliberately built into the compensation program. The intent of the law that established vaccine court was to make the program generous and allow compensation for things not yet proven by science but that might be related to vaccines. As noted above, the Althen Standard is based on demonstration of preponderant evidence. The preponderance of evidence means that, at the end of the day, the petitioner needs to show that there’s more than 50% chance that the vaccine caused her harm. even if she had provided a plausible medical theory, she had not shown that in this case, the death was a result of what the theory suggested, undermining prong 2. For ease of following, I will refer to this decision as Tarsell I, in contrast to Tarsell II (The Court of Claims decision) and Tarsell III (SM’s second decision) from now on. NVICP Special Master decisions can be appealed first to a judge of the Court of Federal Claims, a special court created by Congress outside the usual Federal Courts, and then to the Federal Circuit Courts of Appeal, and finally, with permission, to the Supreme Court. Ms. Tarsell decided to appeal the case to the Court of Federal Claims. On June 30, 2017, Federal Claims Judge Mary Ellen Coster Williams vacated and remanded the decision. In other words, she sent it back to the Special Master with instructions to reconsider the case in light of her ruling on the law. The result was the Special master’s decision after remand awarding compensation to Ms. Tarsell’s mother. As I mentioned, Judge Williams’ decision suffered from several serious errors. To provide an easy-to-follow structure, I will use Althen’s prongs 1, 2 and 3 as the guide, but in a different order: because the most crucial error made by Judge Williams was changing the burden of proof on prong 3, and that was the focus of Tarsell I and III too, I will start there. Then I will address the change in standard in prong 1, and what I think was Special Master Moran’s misapplication of the revised standard, and then I will address prong 2, the application of the theory to the case, and the issues with what Judge Williams did there. In essence, Judge Williams told the Special Master that in a case where there is no good evidence one way or the other, to make a guess on what was available. As the Special Master pointed out in Tarsell III, Judge Williams was letting Ms. Tarsell off the hook of proving that the problem only started after the vaccine. This is a very, very big break. It basically allows petitioners, in cases of potentially latent problems, to blame vaccines any time there is no good evidence regarding when the problem started. Removing the burden of persuasion on this issue is an enormous break to petitioners. It is very much in tension with the existing jurisprudence (legally, it is binding on the Special Master on this case, but not, to my understanding, more generally). When applying Tarsell II’s directive on this issue, the Special Master pointed out in Tarsell III that there are good reasons to think that the arrhythmia started “years” before Christina received the first dose of HPV vaccine. That assessment drew upon on how common such problems are in teenagers and the fact that Christina was, apparently, one of those people who does not show outward symptoms and problems even after their arrhythmia is clearly detected. Judge Williams in Tarsell II seemed impressed by the fact that in at least five readings of Christina’s pulse had been taken before the administration of the first HPV dose, no irregularities were noted. In Tarsell III, the Special Master pointed out that even after the discovery of the arrhythmia, Christina had pulse readings that were normal, and that people with arrhythmia can have regular readings at times, and that there was a good chance that abnormal pulses would be missed. Therefore, the existence of previous normal readings means little. In other words, the Special Master did not follow his interpretation of the evidence to its logical conclusion because it wouldn’t be fair play. Using this fair play argument combined with the way Judge Williams changed the burden of proof in Tarsell II, the Special Master in Tarsell III concluded that the fact that routine medical care did not discover the arrhythmia meant he had to conclude that it’s not more than 50% likely it started before the vaccination. This is a very, very weak “maybe”. There is still no good evidence that the problem wasn’t there long before the vaccine, and the Special Master does think it likely predated the vaccine. But for procedural reasons, the Special Master let it slide. In effect, the burden of persuasion on this point was totally reversed in Mrs. Tarsell’s favor. Having accepted – in spite of his doubts – that for the purposes of the decision the Special Master would assume that Christina’s arrhythmia started after the vaccine, the Special Master set the reasonable window frame that could suggest causation at 7 days to three months. (This finding rejected Dr. Shoenfeld’s claim in the case that three weeks is too short for an autoimmune reaction, among other things since it conflicted with Dr. Shoenfeld’s own testimony in other cases.) Christina’s arrhythmia was noted within that time frame, so on the (ill-founded) assumption that it started after the vaccine, it was within the requisite time. Prong 1 of Althen requires “a medical theory causally connecting the vaccination and the injury”. In Tarsell I the Special Master found that the medical theory provided by the petitioner was not “more likely than not”. Judge Williams rejected that standard, finding that the legal standard required only biological plausibility. The Judge was on firmer grounds here legally, because some previous cases have talked about “biological plausibility” as the standard, for example, Andreu v. Sec’y of Health & Human Servs., 569 F.3d 1367, 1378 (Fed. Cir. 2009). However, a more recent case, Cloer v. Sec’y of Health & Human Servs. (Fed. Cir, 2011) suggested otherwise, explaining that “A petitioner only needs to ‘provide a reputable medical or scientific explanation that pertains specifically to the petitioner’s case’ and ‘the explanation need only be legally probable, not medically or scientifically certain.’” This suggests that the theory in question needs to be legally probable – more likely than not. That is a reasonable standard, and one used in other NVICP decisions. Studies specifically relating to their claims that may not be part of the existing scientific literature – but it still requires them to meet a minimal standard, rather than simply providing the petitioners’ demanded compensation with no basis. To remind readers, although the NVICP was created to be generous, it was still created to compensate cases only where there is a reasonable basis to think the harm was caused by vaccines. A theory that is less than 50% likely to suggest causation of the claimed injury by the vaccine in question is not sufficient to support compensation under Althen Prong 1. “At least more likely than a coin toss” is a fair, and not excessive, standard, especially given the other breaks. In another formulation, drawing on another NVICP case, the Special Master suggested that the defining factor is whether the “could” requirement is met (p. 8) of the decision. The Special Master is not completely clear which of the different interpretations he mentions he is following, but seems to say that a plausible theory is one that is a bit more than possible, and at least could happen. But then the Special Master went on to say that under that standard, Ms. Tarsell met her burden – and that application suggests plausible is an extremely low bar. I think the Special Master felt compelled to find plausibility here because Judge Williams rejected his conclusion that Dr. Shoenfeld’s theory in the case was a series of unlikely propositions that together made the theory implausible. But given the dramatic holes in the theory, the Special Master’s original assessment – that it doesn’t meet the standard – is more convincing even under the more relaxed requirement set in Tarsell II. The problem with Shoenfeld’s theory is that not only did the pathologist that performed Christina’s autopsy not find any evidence of that kind of damage, when the pathologist sent samples to the CDC for analysis “[t]he results showed that the heart tissue exhibited no “conspicuous inflammatory cell infiltrates,”” basically ruling out these most likely mechanisms. Homology, molecular mimicry, between proteins is the first step required for cross- reactivity. According to peer-reviewed literature, the L1 protein of HPV 16 antigen shares homology with human proteins associated with cardiac function. In our case, the L-1 protein shares similarity with the L-type calcium channel receptor. In genetically susceptible individuals like Christina, the body mounts an immune system response to both the L-1 protein and the L-type calcium channel receptor resulting in cross-reactivity. Autoantibodies bound to the L-type calcium channels in Christina’s heart making them dysfunctional resulting in an influx of calcium into the heart cells. The increased concentration of calcium in the heart cells caused her premature ventricular contractions. After each additional Gardasil vaccination, more calcium entered the heart cells resulting in a worsening of her arrhythmia and ultimately her death. (Federal claims decision, p. 12). This theory is all kinds of implausible. First, in the context of HPV vaccines, the claim of autoimmunity is even weaker. As pointed out by Dr. Paul Offit, molecular mimicry is just one out of four conditions required for a vaccine to cause autoimmunity – and even if there was molecular mimicry, the other elements have not been found for HPV vaccines. Furthermore, large epidemiological studies have not found a link between HPV vaccines and autoimmune conditions. This fact is likely the reason Dr. Shoenfeld has emphasized Christina’s alleged “genetic susceptibility” to autoimmune diseases – to try and suggest she is an exception to the data – but he hasn’t actually built a good case that she has one. This is actually moving us to prong 2 of Althen – showing a logical sequence of cause and effect in the specific case – but this discussion seems to fit here. The alleged “genetic susceptibility” seems to be based on Dr. Shoenfeld’s claim that the fact that Christina may (or may not) have had hypothyroidism in 2004, three years before the vaccine, means she was genetically predisposed to other autoimmune diseases. She was gaining weight and tired, and medication prescribed by her doctor – Synthroid – seemed to help. By 2005 the problem was gone, and as the Special Master pointed out in Tarsell III, no doctor identified her as having an autoimmune disease. It’s not clear why that limited episode means she was predisposed to autoimmune diseases generally, and why that would make the HPV vaccine an issue. Scientists I consulted with pointed out they could find no literature suggesting an overlap of mechanisms behind thyroiditis and myocarditis – it’s an extremely weak set of claims. Second, the existence of the particular molecular mimicry suggested by Dr. Shoenfeld is extremely unlikely. Dr. Shoenfeld noted that a five amino acid sequence – LQAGL (Leu-Gln-Ala-Gly- Leu) – found near the C-terminus of the HPV strain 16 L1 capsid protein antigen present in the Gardasil vaccine is also found in the amino acid sequence of the L-type calcium channel spanning the membrane of heart muscle cells. Shoenfeld suggests that this shared sequence of five amino acids created an autoimmune response that affected Christina’s heart and led to a fatal arrhythmia. Mount an immune response to five sequential amino acids, when targets of immune responses are more usually three-dimensional protein structures where the antigenic amino acids in the protein are separated by non-antigenic sequences. In fact, this paper shows that antibodies to L1 capsid proteins from HPV strains 18, 16, 11, and 35 do not bind to any LQAGL sequence. Have the antibodies enter heart cells past their membranes without leaving visible damage (because the CDC’s pathologists did not find cell damage). Turn on the calcium channel inside the cell and cause a calcium blockage. This series of events involves several highly unlikely steps, and put together is even less likely. Basically, if such an unlikely scenario, with no evidence, and against the evidence that HPV vaccines do not cause autoimmune conditions, is legally “plausible,” the term loses its meaning. Nearly anything is “plausible.” In the case cited by the Special Master in Tarsell III, Iqbal, the dissent gave, as examples of things the judges should dismiss at the early stage before fact findings as implausible, the examples of “…allegations that are sufficiently fantastic to defy reality as we know it: claims about little green men, or the plaintiff’s recent trip to Pluto, or experiences in time travel.” Dr. Shoenfeld may actually be entering that territory with his claims here. The Special Master erred, in my view, in concluding that the theory fits even the lowered standard of plausibility imposed by Tarsell II. I may be unfair here. In a section of the decision, Judge Williams suggested that the Special Master had erred in Tarsell I in rejecting Dr. Shoenfeld’s theory because it required assuming a number of unlikely things. Special Master Moran may have read Tarsell II to mean that he cannot reject a theory just because it requires a set of multiple individually implausible things to take place. In Tarsell III, he likely saw himself effectively barred from considering the theory as implausible. However, again, if a theory that requires a series of highly unlikely events to happen is plausible, that term does not have much meaning: it can include very, very far-fetched claims. Turning to prong 2- requiring showing a sequence of cause and effect in the actual case – let me highlight a problem not raised in either Tarsell II or Tarsell III. Once again, Dr. Paolini explained to me, “In the absence of an antemortem diagnosis of autoimmune-induced arrhythmia, an autoimmune etiology for an arrhythmia would not be high on the differential.” In other words, unless it was found before the death that an arrhythmia was caused by an autoimmune condition, an autoimmune condition is not going to be considered a likely cause of the arrhythmia. In Christina’s case, while the arrhythmia was caused prior to the death, there’s nothing in the case about her doctors connecting it to any autoimmune condition. So it’s not likely. Two additional points about prong 2 (I could say more, but want to keep this not too monstrously long). First, the standard under which the reviewing judge should assess the special master’s fact-finding is the arbitrary and capricious standard (Munn v. Sec’y of Health & Human Servs., 970 F.2d 863, 870 n.10 (Fed. Cir. 1992)). While the meaning of that standard is not quite precise, the way it has been applied in NVICP emphasizes that the appellate judge does not wholly substitute his or her judgment for that of the Special Master. Judge Williams’ review of the facts in Tarsell II looks very much like an independent evaluation of the facts de novo, i.e., anew, with no deference to the Special Master’s assessment. After mentioning the arbitrary and capricious standard in discussing the standard, the term does not even appear again. Not applying the correct standard on review was a legal error. Second, the basis on which the Special Master found that Ms. Tarsell fulfilled prong 2 of Althen was his finding in Tarsell III – based on procedural reasons, and against his best assessment of the evidence – that Christina’s injury was within the relevant time frame after the vaccine. That met a “challenge” prong in a challenge-rechallenge framework (“A rechallenge event occurs when a patient who had an adverse reaction to a vaccine suffers worsened symptoms after an additional injection of the vaccine.” Judge’s decision in Tarsell II, p. 18, quoting Capizzano v. Sec’y of Health & Human Servs., 440 F.3d 1317, 1322 (Fed. Cir. 2006)). Christina’s death filled the rechallenge element. In short, prong 2 was fulfilled based on the weak conclusion in prong 1, a conclusion that was the result of shifting the burden of proof and went against what the Special Master thought the evidence showed in both Tarsell I and III. Ms. Tarsell lost her young daughter, which was a real tragedy. I don’t begrudge her compensation, but the decision in Tarsell III compensating her was clearly against the Special Master’s careful assessment of what the evidence showed in Tarsell I, was based on a very unconvincing theory of causation and drew on several legally problematic instructions imposed by Judge Williams in Tarsell II. This decision does not prove the contention that the HPV vaccines administered in this case contributed to Christina’s unfortunate death. If anything, the content of the Special Master’s decision in Tarsell III suggests just the opposite.